Home Mother of Perpetual Help Filipinos, they are “pueblo amante de Maria,” people in love with Mary. 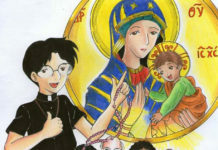 Filipinos, they are “pueblo amante de Maria,” people in love with Mary. (Parañaque, Philippines, Jul 2, 2016) – A long-venerated icon of Our Mother of Perpetual Help turned 150 this year, and many Filipinos’ Marian devotion has never been stronger. 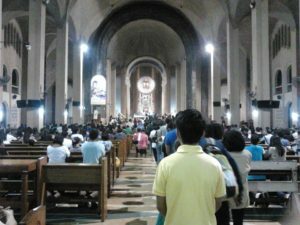 “There is one clear reason for the thousands of devotees who flock to Baclaran: the special Marian piety of the Filipino people,” Fr. Joseph Echano, CSsR, rector of the National Shrine of Our Mother of Perpetual Help, told CNA. “What Baclaran is today is because of the Filipinos’ deep devotion to Mary” he added. 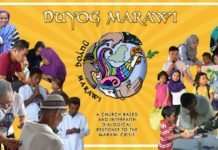 “Indeed, if Filipinos are sent on mission throughout the world, our special gift in mission will be our love of our blessed Mother Mary… the devotion to Mother Mary is deeply embedded in Filipino culture.” There is a phrase in Spanish about the Filipinos. They are “pueblo amante de Maria,” people in love with Mary. For Fr. 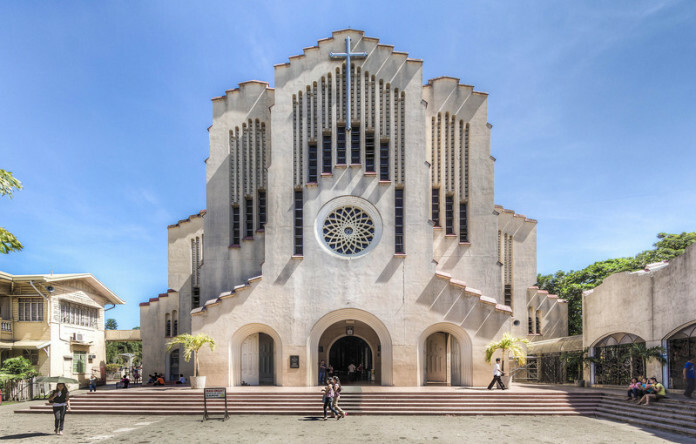 Echano, Baclaran is “the quintessential expression of this.” The shrine’s rector estimates as many as 100,000 devotees flock to the shrine every Wednesday and there are 80,000 visitors a day every Sunday. The centuries-old miraculous icon of Our Mother of Perpetual Help is enshrined in the National Shrine of Baclaran in Parañaque, part of Metro Manila. Behind the icon is a special purpose. “The icon of Our Mother of Perpetual Help is not to show a beautiful scene or person but to convey a beautiful spiritual message – the perpetual help and love of God through the intercession of Our Mother of Perpetual Help,” Fr. Echano said. In the year 1866, Blessed Pius IX entrusted the icon of Our Mother of Perpetual Help to the Redemptorist congregation, giving them the mission to make her known throughout the world. 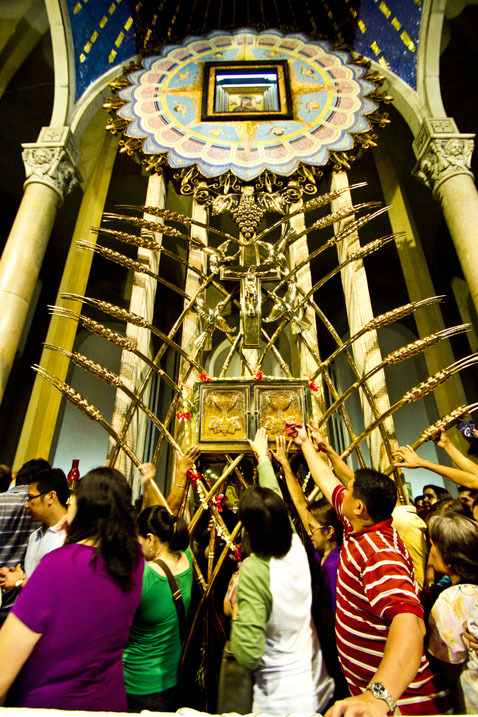 Redemptorist missionaries arrived in the Philippines in 1906, bringing a copy of the icon. They gathered a small group of 70 people for the first novena at a humble wooden church in a fishing village. Little did the pioneer missionaries know that the place would become the largest Marian shrine in the world. Japanese invaders during the Second World War destroyed many local buildings. Other buildings were ransacked and many people were killed, but the icon was saved. It has been installed in the new Romanesque structure constructed in 1958. Since then the church has never been closed, not even when curfew was declared during martial law under President Ferdinand Marcos. Three shifts of private security guards ensure good order and there has never been a single case of vandalism. Fr. 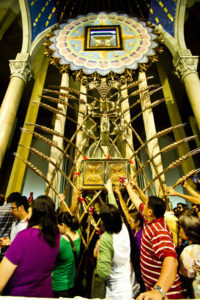 Echano said it is hard to explain what keeps people coming to visit Our Mother of Perpetual Help every. 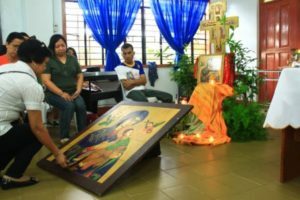 “Evidently, the love of God and the intercession of Our Mother of Perpetual is truly experienced by the devotees, in spite of all the pains and struggles they go through in life,” he said. Devotees and pilgrims from far across the country bring traditional offering of flowers and lighted candles. They recite novena prayers, pray the Holy Rosary, sing hymns and participate in the evening processions to honor and thank the Blessed Virgin Mary. St. John Paul II was a visitor to the shrine in 1981 on his apostolic visit to Philippines. The shrine celebrated its annual patron feast of Our Lady of Perpetual Help on June 27 and marked the 150th anniversary of the icon. The Redemptorist communities in Baclaran have launched a series of environmental projects including one called “Greening the Shrine.” The Redemptorist community is now adopting solar power as a safe and clean alternative to conventional energy sources. With an estimated installation costs of $192,000, it will generate power peaking near 86 kilowatts. The Redemptorists will be able to sell any surplus power generated. The shrine has begun to recycle plastic bottles and other recyclable materials disposed of by visitors. Fr. Joseph said that the plastic bottles are now being reused for vertical gardening in the shrine. He said they add to the beauty of the place and show that growing vegetables is feasible even in the city. The shrine’s website helps people on the internet connect to prayer at the shrine. Novenas and live Masses are streamed online. 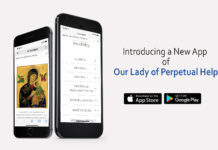 “This is essential as we would like to reach out to the millions of devotees of Our Mother of Perpetual Help, especially Filipinos, who are spread in almost every country of the world,” Fr. Joseph said.